An opportunity to own one of the lowest-mileage UK-supplied RHD 993 Turbos. Presented in a classic colour scheme, this is a model not to be missed. The 911 has captivated drivers for over 50 years. 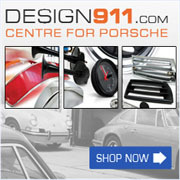 The 911 is a sports car, which means that it produces peak performance in any driving situation. Not simply speed, but agility and handling, pure driving pleasure and exhilaration. The 911 (993) Turbo’s all-wheel drive system uses a viscous coupling to vary the power flow depending on the road surface and driving conditions. Power to the front wheels is varied from 5% to 35% in normal driving conditions, (up to a maximum of 40% if required) ensuring maximum grip and handling. The electronic limited slip differential provides further traction at speeds below 40 mph, to adapt to any tyre adhesion loss on wet or icy road surfaces. The 408 hp produced by the 911 Turbo, combined with the four-wheel drive package guarantees safe use of the car’s performance when you really need it. The Porsche engineers were particularly proud of its power-to-weight ratio of approximately 5.0 kg/kW, and of its staggering 540 Nm of maximum torque at 4,500 rpm. Acceleration is stunning, from 0 – 100 km/h in 4.5 secs flat, and it stops from 200 km/h to standstill in the same time. This car only needs a fraction of the braking time, and distance, required by other vehicles. Originally supplied by Lancaster Porsche Cambridge, this vehicle is presented in exemplary condition. It also benefits from a full Porsche Centre service history and is complete with its original leather handbook pack, spare keys and a full history file. The car will also be supplied to the new owner with a 12 month RAC comprehensive warranty.